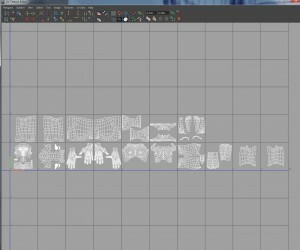 Why use a Multi-Tile UV solution over Standard UV mapping? The quick answer is maximum texture resolution. 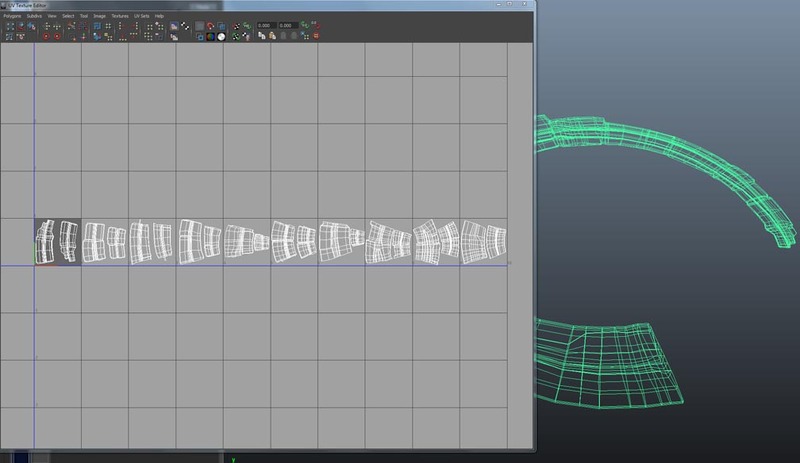 i.e.there no way to cut the geometry into smaller sections without ruining the tangent of the subD. 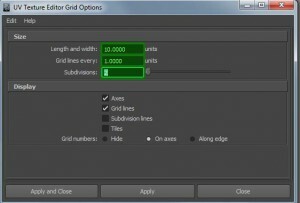 Once your UV maps are created, it’s now time to create a shader. 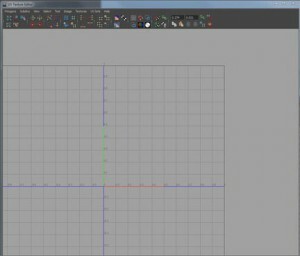 In the event you’re using non-procedural textures, you need to determine resolution. Is it seen from a distance? Is it up close and in need of detail? Basically is the texture as low as 512k, or as high as 8192k? 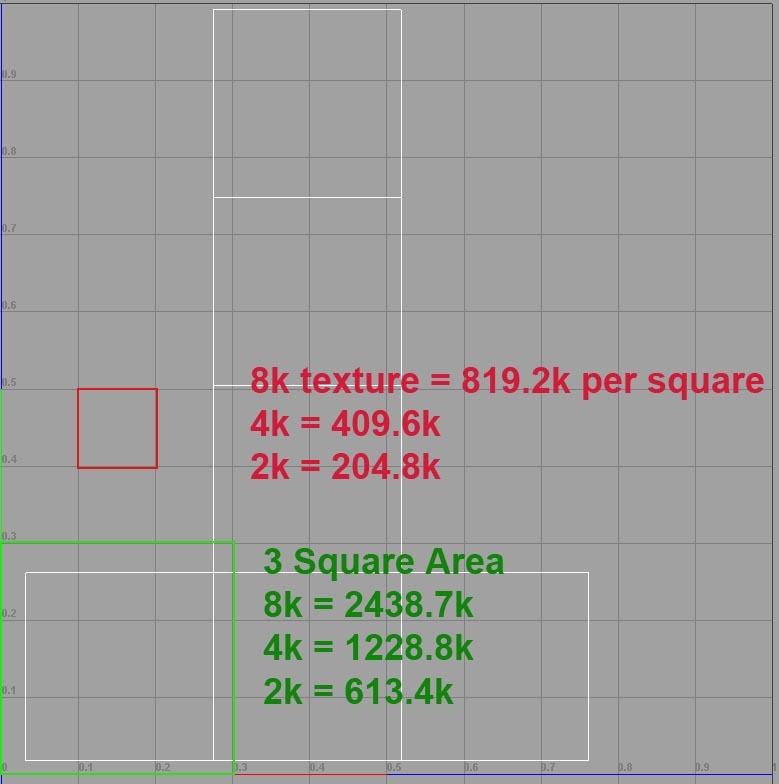 This tutorial won’t go into memory management and high resolution textures, but basically it’s more efficient to load several smaller textures (2k or 2096 for example than larger textures), for the individual user or small shop not using a robust pipeline, this can be almost essential. Even in the event that the user is utilizing an 8k texture, it’s not exactly true. If we divide each square up in UV space we actually only have 819.2k per square. 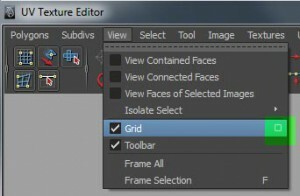 Probably plenty for most renders, but if you have multiple 8k textures it will start becoming problematic as the 3D program of choice has to load these these into memory, especially if your render engine of choice loads them up front. 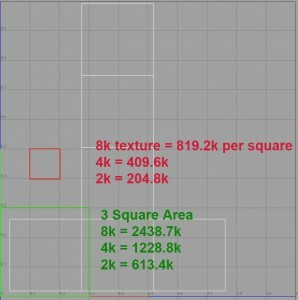 As you can also see, the resolution for actual coverage area exponentially drops as we get into more common 2k texture usage. 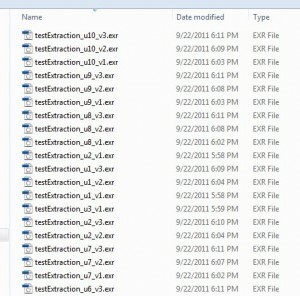 Another issue is painting/creating/extracting 8k textures. Again, this is extremely taxing on a system and without enough ram and a good video card you might find yourself working very slowly or even crashing. With the advent of software packages such as Mudbox and Zbrush, the user can now extract displacement maps from high resolution sculpts. One of the problems that often arises from extracting displacement maps is what is seen sculpted, is often not what is seen in rendering. 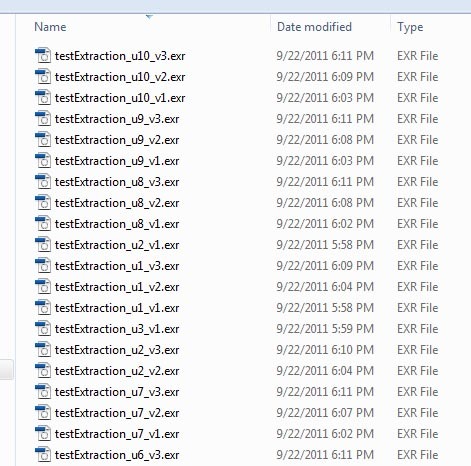 Part of this can be attributed to user render settings, but more often than not, it’s also based on the information written out during the extraction process. Even with a 8 or 4k map we’re really not getting full coverage. We have to share the area with all pieces of the Geometry, even those that might go unseen or are further away from camera and don’t require all that resolution space. So how do we maximize our pixel resolution? And the better question, how do we paint a seamless texture/displacement map across these? 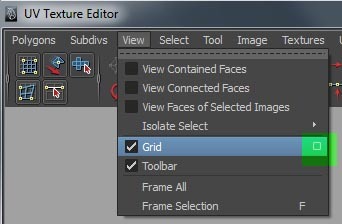 To make sure you have a clean UV layout that “talks” to mudbox, and for organizational purposes you need to change the UV grid. You can click the ‘tiles’ option if you like, but that doesn’t have any real effect other than darkening the tile borders. 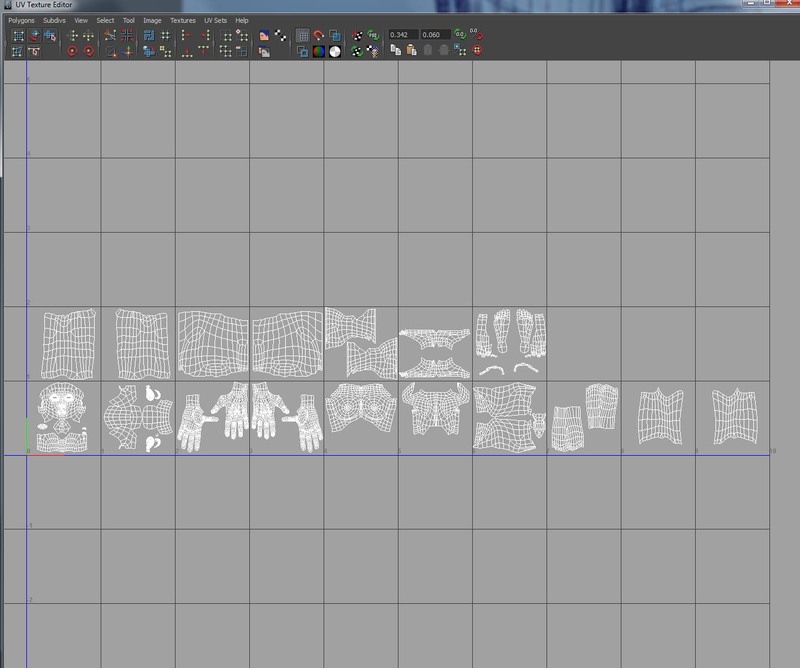 It’s visual help only, and doesn’t do anything else to effect mult-tile UV mapping. 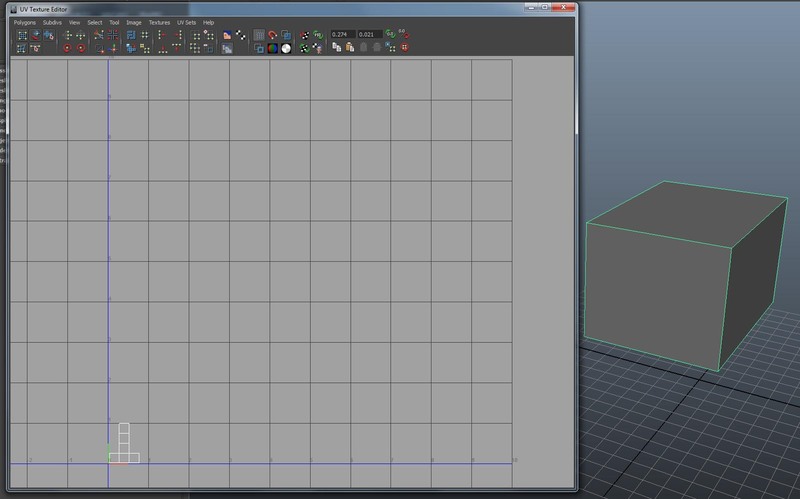 Maya is now set up to visually layout and deal with Mult-TIle UV maps. Why is this important? Because just like any other UV map, you need to be inside the 0,1 range of each tile. No crossing the borders with sloppy maps. Having the tiles set gives the user a visual boundary of what’s ‘legal’ and what’s not. Without this new grid set up it’ll make it really difficult to deal texture assignment, just like any other UV map. Figure 8. 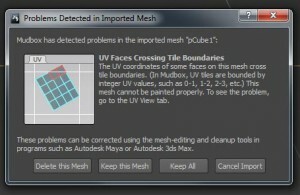 Mudbox Warning. UV's are crossing tile borders. Figure 9. Example of U and V Coordinate I.D. We also now have a U and V coordinate system set up, with each tile representing it’s coordinate I.D. As always, U is horizontal and V is vertical, but now each tile has it’s own coordinate number as well. As seen above (figure9), four tiles over and three tiles up is U4_V1 in coordinate space. Figure 9a. 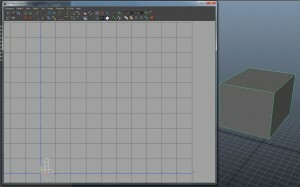 Mudbox Mult-Tile Saved Files. This helps not only from an organizational point of view, but when Mudbox saves out multiMaps it’ll give them a coordinate ID relating to which tile they belong to. So now that the grid is set up, we’ll continue using the simple box/cube object and set it up for a multi-tile texture assignment. 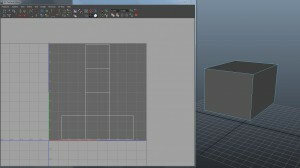 So if you haven’t done it yet, create a simple Cube Primitive in Maya. For our purposes make it perfectly square. All we’ll going to do here is select the edges of the box in the UV Texture Editor and use the UV ‘cut’ tool to separate them from their adjoining faces. Basically making a UV per face, or six discontinuous maps. 1. Select all the edges of your cube in the UV editor and use the CUT UV EDGES tool. This will make each face a ‘discontinuous’ UV map. 2. 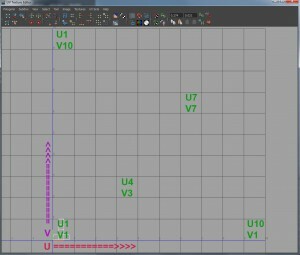 Select all the UV points in the window and normalize them. I recommend opening the Normalize option window and switching to “Each Face Separately”. We don’t need to preserve aspect ratio for this since it’s a square cube, but if you’ve decided to try something else as a primitive or other Geometry you may want to click that box. 4. Now we need to separate each one into it’s own tile. This can be someone laborious the first few times out, but it’s worth it to make choices and decisions about what goes in what tile. When doing character work I often have certain layouts I like to use based off experience. For our tutorial though, the cube is arbitrary and we’ll just lay them out quickly across the first 6 tiles. 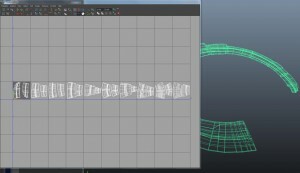 I can just simply select a single UV and then tell Maya to select shell border to grab a single shell to move it into the next tile over. 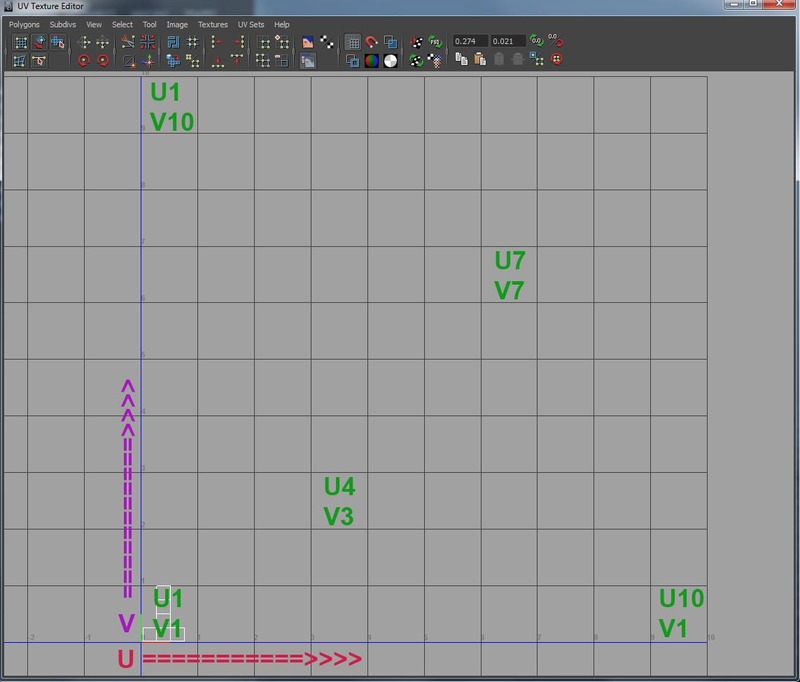 Most of the time this is fine for initial UV layout, but what if I need to to fall into the exact same UV position of tile one? For example I have a painted texture already that works, I just need to separate each tile out to be EXACTLY in the same UV coordinate space, just different coordinate tile? Again, we’ll use a mel command. Will move the selected shell exactly one tile up in V, and of course negative value one tile down. 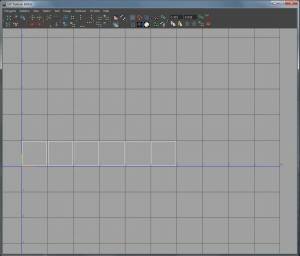 I have a series of buttons in my interface that say “UV UP, UVDOWN, UV LEFT, UV RIGHT” that I use for doing layout. 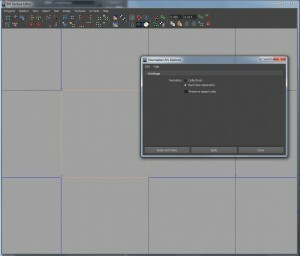 This assures that if I need to shift a tile for whatever reason, I’m only shifting it in it’s tile coordinates, not it’s true UV texture coordinates. We’ll explore what to do with this and how to handle it for rendering in the next sections. Obviously you don’t need a single polygon face per UV tile. You can stack as many areas in a tile as necessary. It can really depend on the size/aspect ratio of your maps. This one was for a walkway that needed a high level of displacement and paint since the camera was following along the path for the shot. This one is for a female character for a client. The options are pretty endless once you follow the basic rules. This entry was posted on Monday, October 17th, 2011 at 11:14 pm. It is filed under CG, Maya, Mudbox, Tutorials and tagged with Maya, multi-tile, multiple UV mapping, Multitile, Vray. You can follow any responses to this entry through the RSS 2.0 feed.